What Would Empire Currency Look Like? 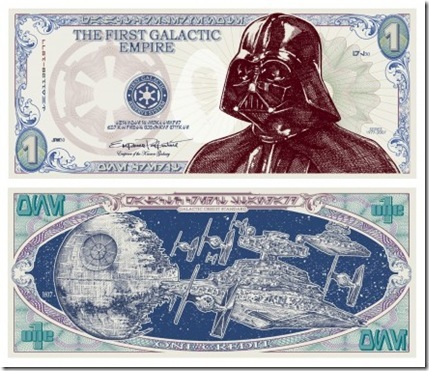 What would currency look like if the Empire ruled the galaxy? I really like Mark Brooks artist interpretation in answer to the question. Yet I wonder how would Darth Vader feel being put on the 1 credit bill? Does that mean we should we put Mira Jade on the 20?